Visual Studio Code>Other>SPRemoteAPINew to Visual Studio Code? Get it now. Copy interfaces into your own Typescript file. 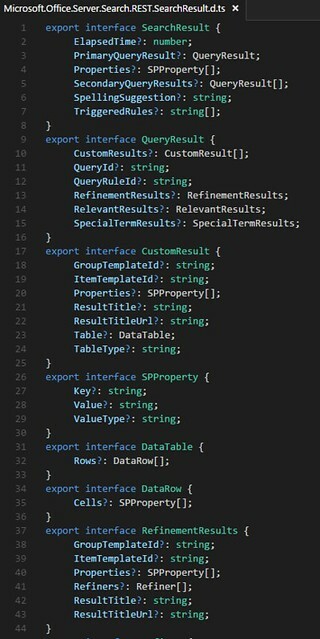 Import and get intellisense and type checking. In VSCode just hit F1 and start typing SPRemoteAPI and you will see it appear in the drop down list. Once you have selected the type, you are presented an information dialog showing you the type along with options for displaying properties and methods or creating a TypeScript interface. The options also shows you the number of each contained in the type. Select the methods options and you are presented a list of available methods to choose. 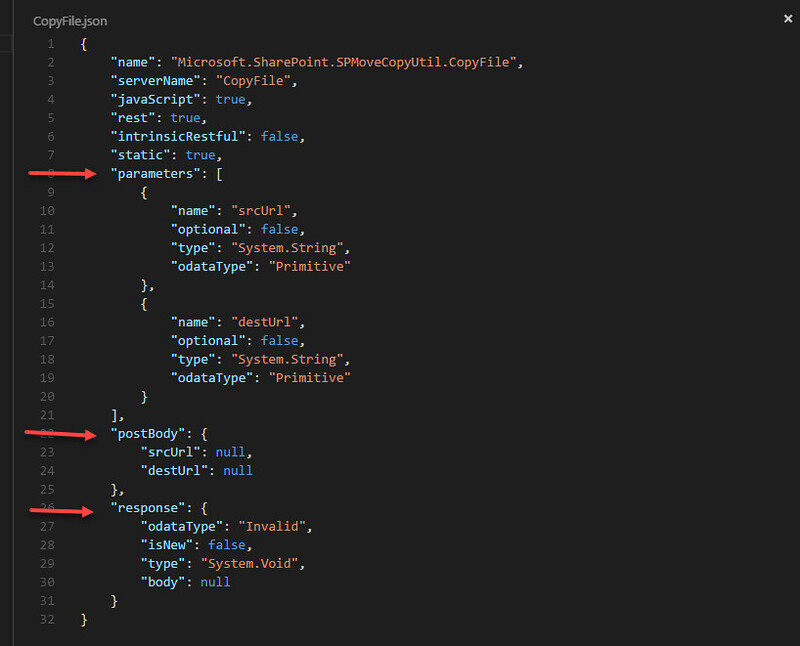 Choose a method and then you are presented a new code window (virtual document) containing a JSON representation of all the method’s information needed to call it remotely using REST. It shows you the parameter types, required post body and response body. The post body can be copied into whatever REST calling framework you are using such as FETCH or JQuery. The response can be used to guide you in what to expect in the payload response from the call. This gives you ability to write remote REST calls without having to do all the extra experimentation to see what the call returns. Having both the body and response JSON templates will save you a lot of time searching on the internet. Below is example of the code window you are given when you select properties. 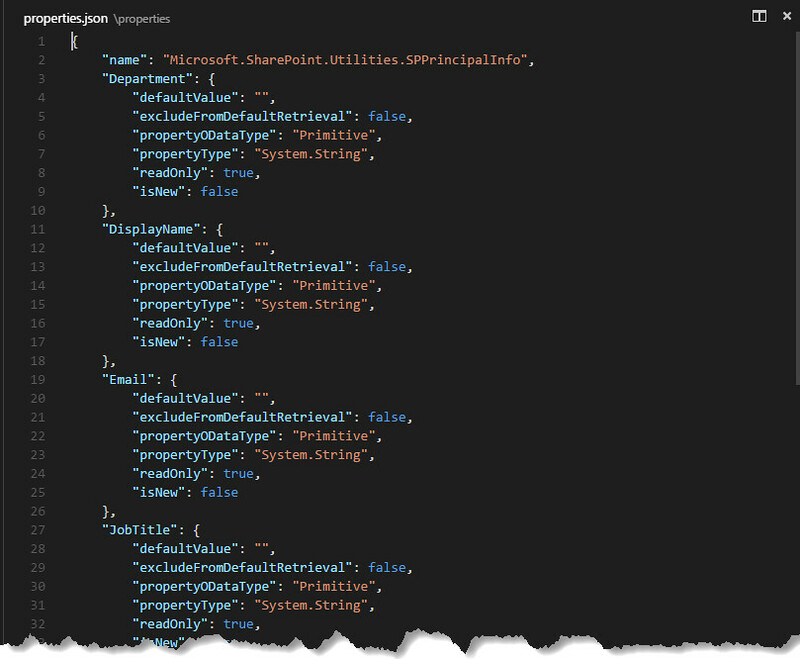 It shows you all the available properties for the type and the information you need to determine what is available remotely from SharePoint Office 365.